The Legal Smack Down On Music Sampling: Is The Age Of Hip Hop Over? 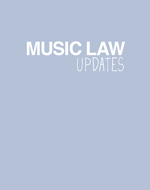 COPYRIGHT Artists, record labels ARTICLE LINK: By Marina Whelan Sedgwick Detert Moran & Arnold LLP Using the recent case of Bridgeport Music v. Dimension Films (2005) the legalities of the ‘borrowing’ of sound recording samples are explained. http://www.mondaq.com/article.asp?articleid=43602&email_access=on See also the ARTICLE on this site ‘The song remains the same’ by Ben Challis analysing the legality of sampling in both the US and the UK, the Bridgeport case and the recent Newport vDiamond (2003)decision and the defences of ‘fair use’ and ‘fair dealing’. And also see this ARTICLE LINK http://www.slate.com/id/2153961/ “The shady one man company that’sdestroying hip-hop” which looks at the activities of the same Bridgeport Music who have been very active in protecting their copyrights, in particular the works of funk-master George Clinton – which have been repeatedly sampled. Bridgeport recently took on Jay-Z alleging unauthorized samples in his work. There seems to be a growing feeling that recent court decisions on sampling (particularly in the USA) have perhaps now shifted the balance of power so far in favour of copyright owners that music creators, especially hip hop, are starting to suffer unfairly. COPYRIGHT Internet, record labels In Germany, Justice Minister Brigitte Zypries has introduced draft legislation limiting fines for private downloading to a cap of 50 euros ($64) per case in Germany. Zypries said that ”the limitation for the first warning letter from a lawyer ensures that we don’t exaggerate in punishing copyright breaches”. The maximum applies only to those who download without intending to resell it. To fine the downloaders, the music industry has been using a provision of German law that allows lawyers to force wrongdoers to write apologies, and then to pay the law firm’s entire bill. In future, the law firms would only be able to charge members of the public 50 euros per incident for this service. Zypries also said that the darft legislation would also increase powers to prevent product piracy, enabling German customs agents to rapidly destroy counterfeit goods that imitate famous brands.